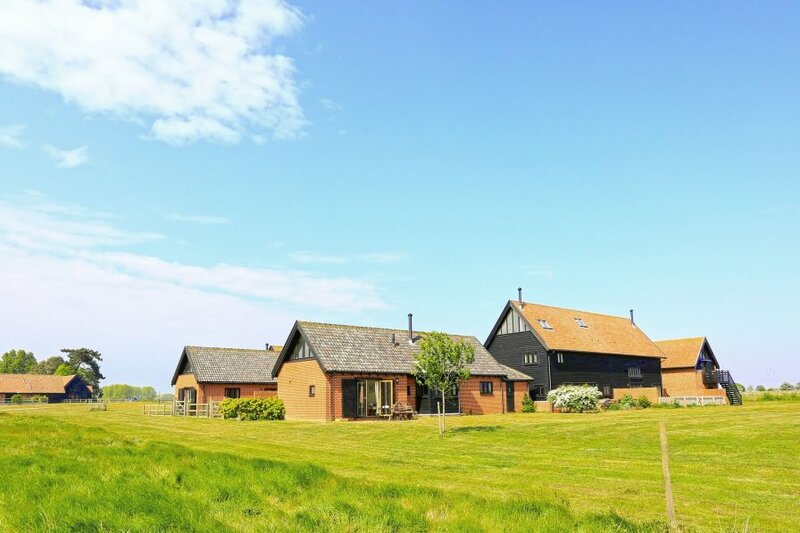 The Meadows Dairy with its shared swimming pool and tennis court is a detached property situated on the Bawdsey Manor Estate, a lovely location from which to explore the heath and forests of Bawdsey Peninsula and the coast and countryside of Suffolk. Bawdsey Quay with its sailing and sandy beach is close by and from here it is possible to take the foot ferry to Felixstowe. Rooms: 3 bedrooms one with en-suite shower room, 1 bathroom, sitting room, kitchen/dining area. Beds: 1 double, 1 king, 2 single beds (suitable for children) with pull out bed underneath. General: Oil heating. Highchair available to use. A £150 security deposit is required four weeks prior to your holiday. Utilities: Electric oven and hob, fridge freezer, dishwasher, washing machine, tumble dryer. Outdoors: Private patio area with furniture and vast open communal grounds with shared access to swimming pool and tennis court. Swimming pool = seasonal use only.